A rechargeable digital altimeter that reports the peak altitude of flight on an LCD display. Its tiny size and rugged construction have helped to propel its use beyond model rockets and planes to kites, balloons, falconry, and other sports and activities. 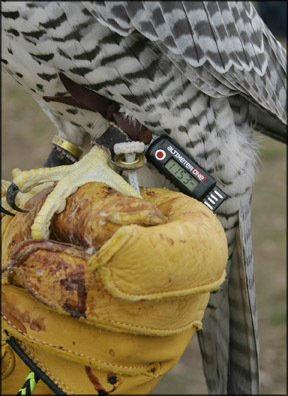 » Tethered to the leg of a hunting falcon. » On board high-altitude balloon flights. » As an on-screen altitude display in RC planes.